QUOTE | “When you deal with them at a close distance, you understand why they are who they are. I’m not going to lie to you; they are extremely demanding. They require the very best constantly, all the time, and beyond. 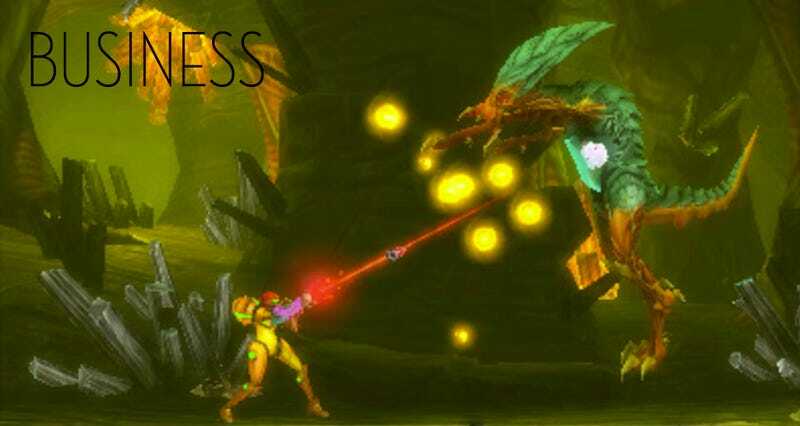 But it’s been a great experience.” - MercurySteam studio head Enric Alvarez describes what it was like working with Nintendo on Metroid: Samus Returns for 3DS. QUOTE | “We thought H1Z1 would be our main competitor, basically, but then suddenly it’s CS:GO, and then CS:GO is behind us and we’re looking at Dota 2.” - Brendan “PlayerUnknown” Greene says the success of PlayerUnknown’s Battlegrounds took the developers by surprise as well. STAT | 10 million - Number of copies PlayerUnknown’s Battlegrounds has sold on Steam. The Early Access hit has only been available since March 23. QUOTE | “Price will really be the driving factor. There are already hundreds of great studios making interesting content. When the prices get low enough, we’ll see the growth curve take off.” - Schell Games CEO Jesse Schell is still a believer in VR, even though his studio’s VR puzzle title I Expect You To Die launched in December, just recently hit $1 million in revenues, and has yet to turn a profit. STAT | $1 million - The amount of money the Minecraft Marketplace’s dozen community creators have brought in selling their own skins and textures for the game since the program debuted in April. QUOTE | “The fact is that most League of Legends teams lose money. Operating costs continue to increase dramatically and Riot’s team compensation only covers a small fraction of those costs. In essence, team losses are subsidizing the marketing activities of a multi-billion dollar company.” - League of Legends team H2K explains its decision to withdraw from the EU LCS after the 2017 season unless Riot restructures the way the league works. QUOTE | “This action, the FTC’s first against individual influencers, should send a message that such connections must be clearly disclosed so consumers can make informed purchasing decisions.” - FTC acting chairman Maureen Ohlhausen touts a settlement reached in a case with two YouTubers who used their channels to promote an online gambling service they owned without disclosing the connection to viewers. The settlement did not include fines or any such punishment for the YouTubers. QUOTE | “Game makers build games for all sorts of reasons, [whether they] be artistic, commercial or other. But in the case of Animal Farm, in our humble view, creating this game is also a social and cultural responsibility.” - Bossa Studios co-founder Imre Jele explains why he has chosen to make an “adventure-tycoon” game out of George Orwell’s classic novel. QUOTE | “Just straight up accepting industry knowledge, or a lot of these claims that are touted by people... Just the fact they’re reiterated a bunch in the industry doesn’t make them true.” - Butterscotch Shenanigans co-founder Sam Coster says the St. Louis-based developer of premium mobile and PC game Crashlands has found considerable success flying in the face of the games industry’s conventional wisdom so far. QUOTE | “Almost every game engine has banned us.” - Iranian game developer Sadegh Broomand of Acid Green Games says the scene has been hurt by US sanctions that keep local creators from having access to Unity and Unreal. Iranian developers are also prohibited from raising money on Kickstarter, or self-publishing on Steam, Google Play, or Apple’s App Store. QUOTE | “If consumers don’t get it, if you can’t put something in front of them that makes them go, ‘Wow, I get this now because I could not have played this on my current systems...’” - Lemmings and Grand Theft Auto developer Dave Jones says cloud computing needs to offer gamers a transformative experience if it’s ever going to take off.